Three student friendly gift ideas! As Christmas begins to creep up on us, the prospect of splashing out on gifts for extended family members makes many of us feel cold. With these gift ideas feel free to draw in your purse strings, count your pennies, and cash in on the power of do-it-yourself. Scrap booking is an often-overlooked hobby that can make your loved one feel special this Christmas. 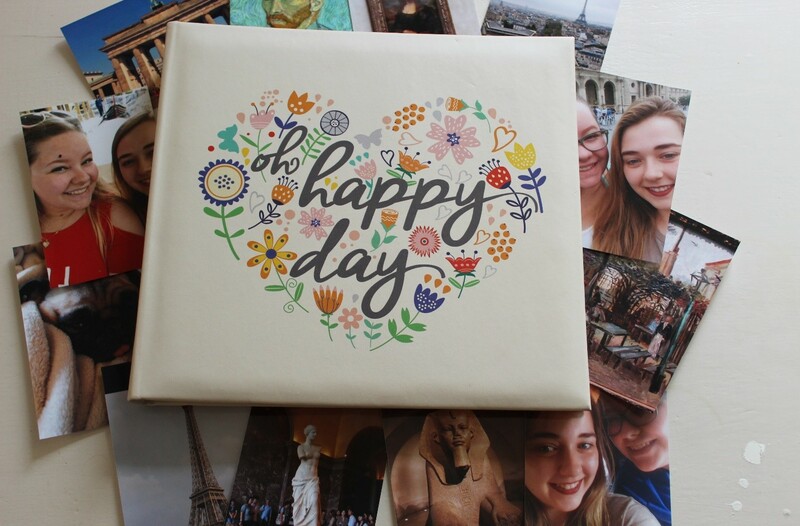 Whether it be your best friend or your boyfriend, take the opportunity to remember the good times by picking up a pretty scrap book and filling the pages with pictures. I always find the widest and best variety of notebooks and scrapbooks at TkMaxx, which is where I bought the scrapbook pictured below. At £13, it is a bit pricey, but there’s lots of cheaper options to choose from! For the pictures I used the app FreePrints, which will send you dozens of pictures for only the price of the P&P. 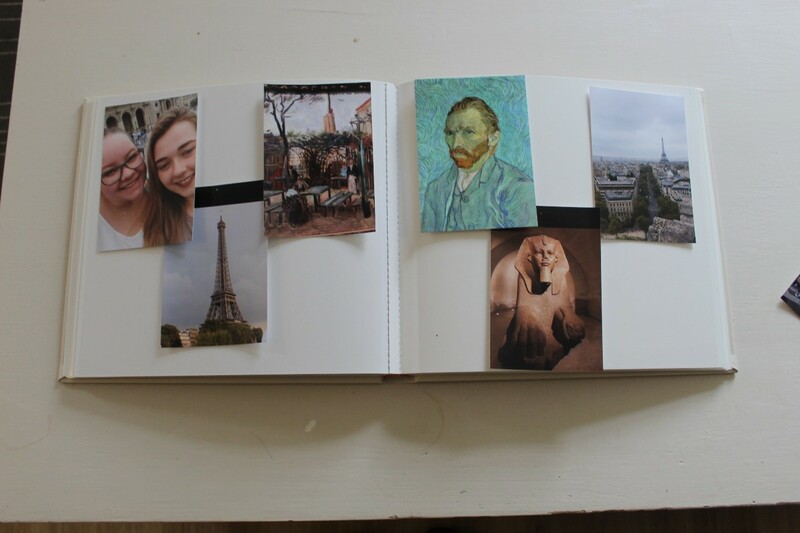 I filled my scrapbook with memories from my trip to Paris with my friend. Last Christmas my friend made me a batch of chunky mint-flavoured brownies which were rich and gooey and really hit the spot. Better yet: they are cheap to make: providing you’ve already got some baking staples in your cupboard! Send these off to your friend in a festive tin and let the compliments roll in. Pre-heat the oven to 190C/ Fan 170/Gas 5. 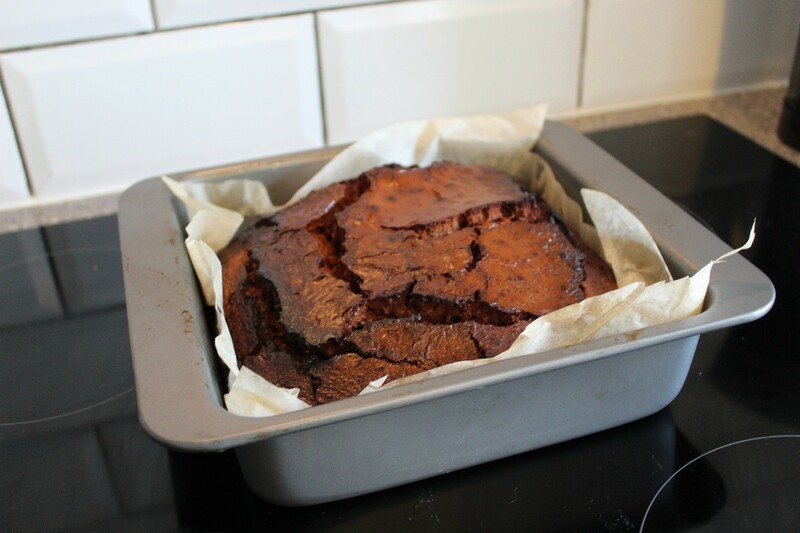 Grease a 30 x 23cm (12×9 in) tray then line the base with baking parchment. Break up the chocolate (350 grams) into pieces and melt slowly with the butter (225 grams) in a bowl set over a pan of hot water, stirring occasionally. (I decided to finely chop the chocolate and melt it in the microwave, which worked just as well). Leave to cool. In another bowl mix together the eggs (3 large) and caster sugar (225 grams). Gradually beat in the chocolate mixture. Fold in the self-raising flour (75 grams) and chocolate chips (225 grams) and pour the mixture into the prepared tin. 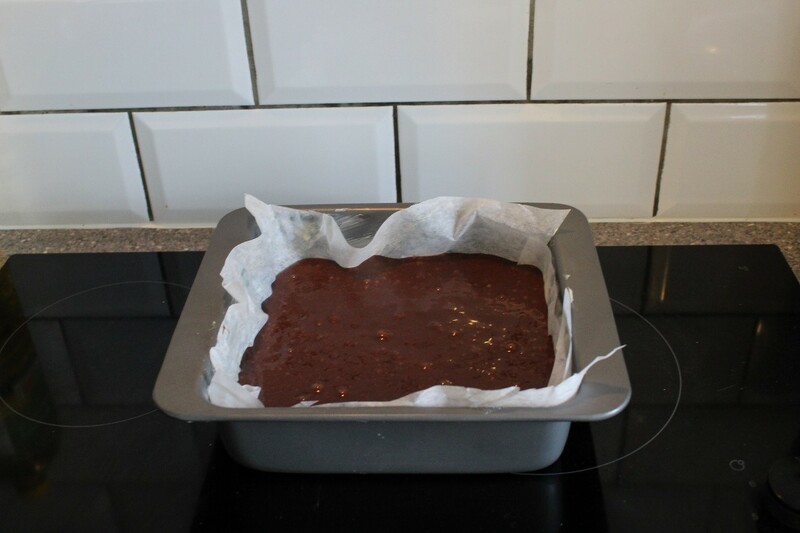 Leave the brownies to cool in the tin then cut into 24 squares. Store in an air-tight tin. Nothing screams Merry Christmas like a vintage t-shirt. You can transform an old t-shirt from Oxfam into a cherished Christmas gift this year in dozens of ways, but I’ll tell you my favourite. Feel free to keep the word ‘vintage’ subjective here: my favourite do-it-yourself t-shirt has simplistic patterns and shapes, mainly because trying anything more difficult would have been an absolute disaster. Buy a t-shirt from a charity shop (my local Barnardos has t-shirts for £1!). Lay the t-shirt flat and create simplistic shapes (I went for three triangles across the chest) using sticky tape. Simply fill in the shapes with paint. Make sure to put a square of cardboard inside the t-shirt so that paint doesn’t transfer to the back.